06 Mar A nasty turn around. A fortnight ago the Bureau of Meteorology’s rainfall outlook wasn’t shaping up as too bad at least for the Southern parts of the country – how quickly it can all change. Yesterday’s release of the three-month outlook now points to a delayed Autumn break and much lower chance of rainfall exceeding the median across much of the Eastern half of the nation during March to May. Cooler than average ocean temperatures to Australia’s west and south west have limited rainfall fronts crossing the country, leading to drier than usual conditions for all regions except for far north Queensland. A warming Pacific Ocean is keeping the prospect of an El Nino on the horizon and has seen the BOM forecast a drier than normal start to the Autumn break – Figure 1. 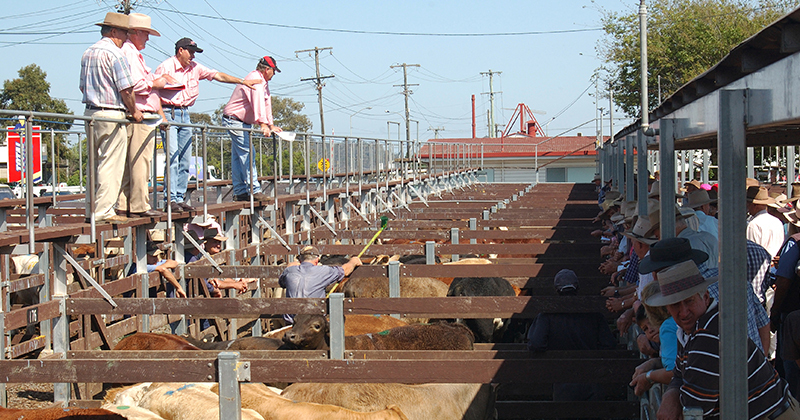 The bleak rainfall prospect and increased cattle yardings along the East coast conspired to see prices for younger store cattle and breeding stock ease this week with the Eastern Young Cattle Indicator (EYCI) falling 3.6% to its lowest level in over three years to close at 434¢/kg cwt yesterday. Cattle throughput in the Eastern states lifting 14% on levels set the week prior to sit 5% above the five-year trend for this time in the season – Figure 2. Young cattle in the East not the only cattle type to register a decline this week with the Medium Cow indicator leading the percentage price falls to see nearly a 5% drop to 175.9¢/kg lwt. Feeder Steers also easing slightly, down 1.4% to 250.4¢/kg lwt. Although, Trade, Medium and Heavy Steers beginning to show signs of supply concerns by posting 1%-6% price gains this week across the Eastern states – Figure 3. In the West young cattle prices held their ground, registering only a 2¢ easing to remain above 500¢/kg cwt and in beef export markets the 90CL Frozen Cow indicator has held onto the 4% price gain from mid-February to close this week at 642.4¢/kg CIF. The spread between the EYCI and 90CL is now approaching levels that would be considered extreme. The EYCI is at a 32% discount to the 90CL and the spread has only gone beyond a 39% discount for 5% of the time during the last two decades. This is likely to see young cattle prices find a price base in the short term ahead of crucial support levels at the 400-420¢ region.